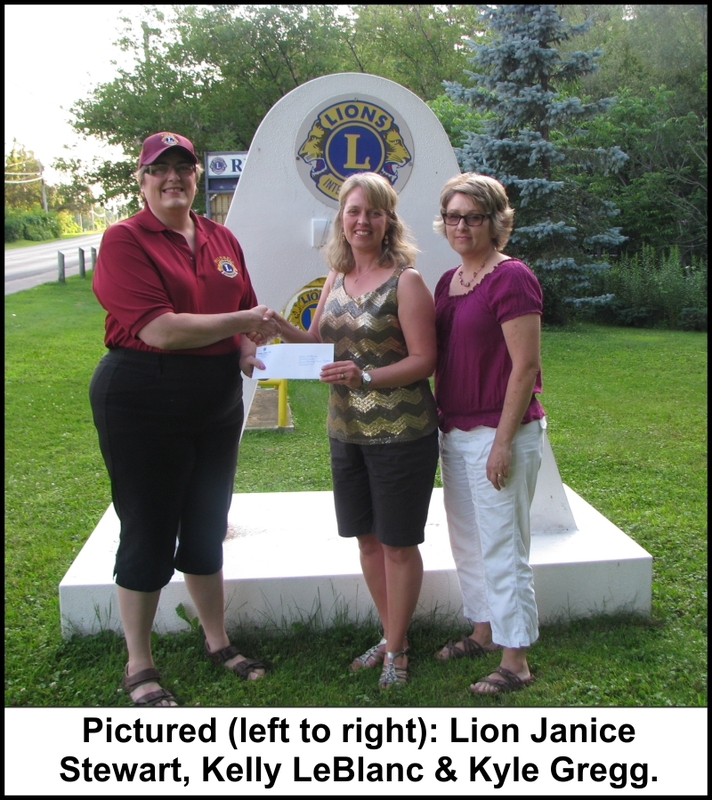 On behalf of the Russell Lions Club Lion Janice Stewart presents a donation to Kelly LeBlanc and Kyle Gregg, Co-coordinators of the Drug Reality Tour Program. In the months ahead this new Village initiative will raise awareness of the adverse effects of drug usage in our youth. 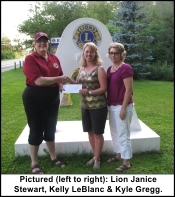 The Lions are pleased to support such a worthwhile cause.